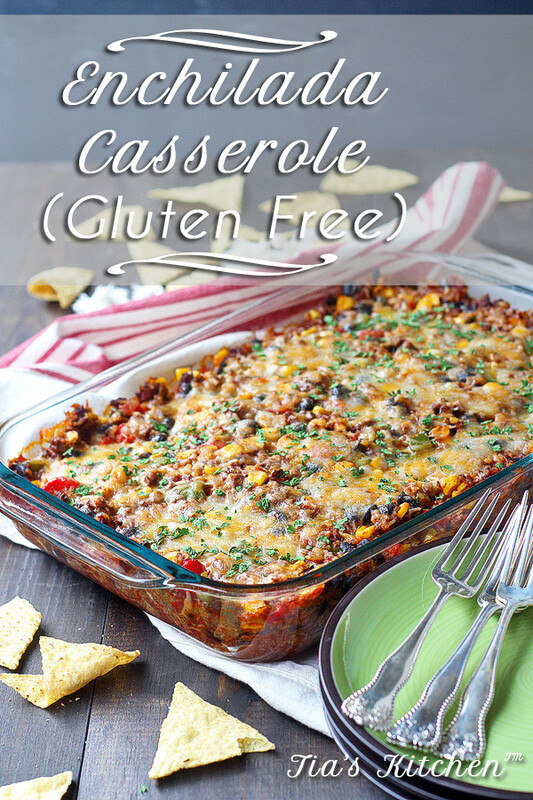 Casseroles are a big staple here in our household of four. 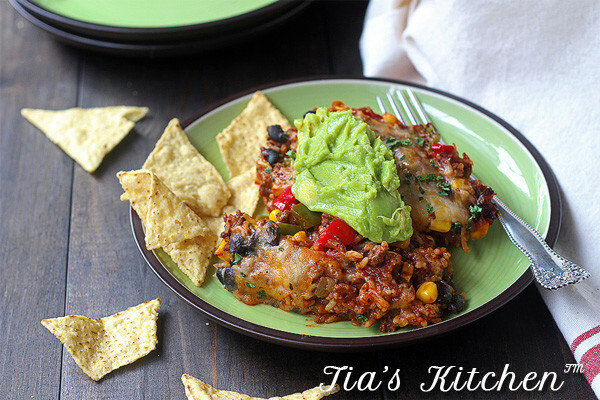 And this Enchilada Casserole has just become a new family favorite. 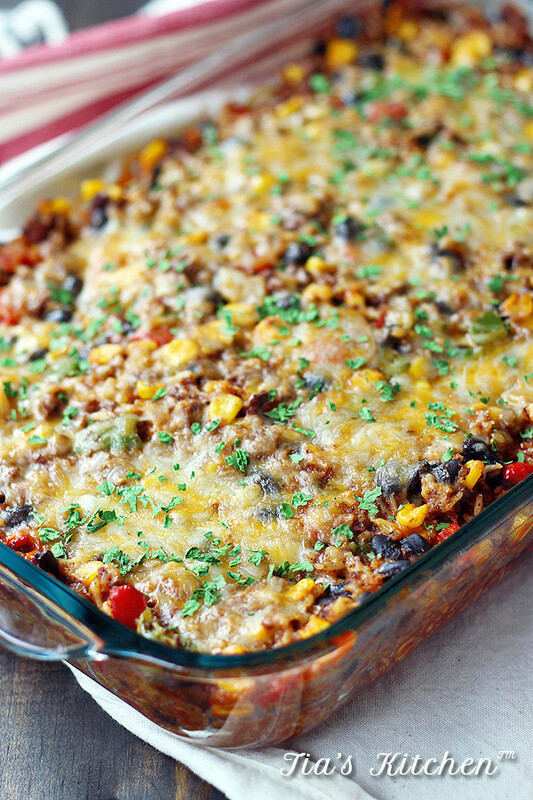 I love casseroles because you can make them big enough to last 2 or 3 dinners. And when you are busy, busy, busy, getting to spend just a little less time making dinner is always nice. I never really liked it when we had leftovers when I was a kid, but now I see why they are so awesome. And save mom’s sanity, just a little. 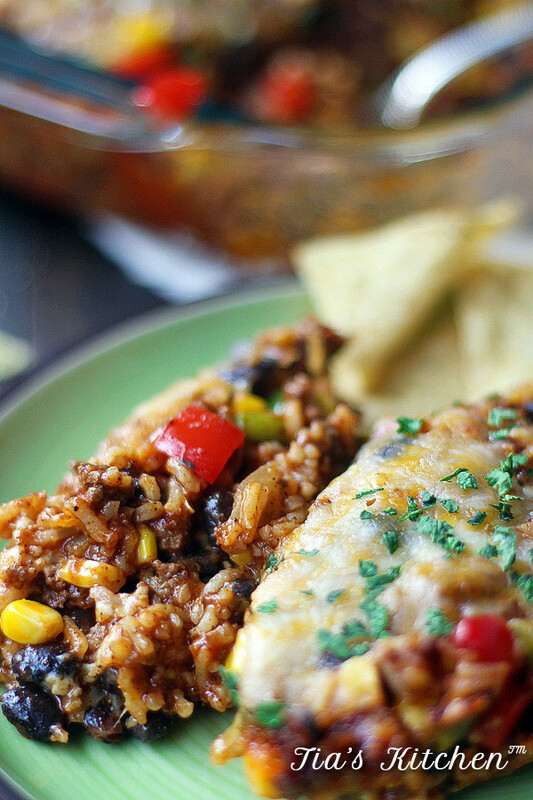 Well, this enchilada casserole is great the first time around. And still great the second and third. And even the boys like it. Sometimes it’s hard to get them to eat casseroles. Or they tell me one day they like it. Yum, yum, yum! Gobble it all up. Kids!? What are you gonna do? 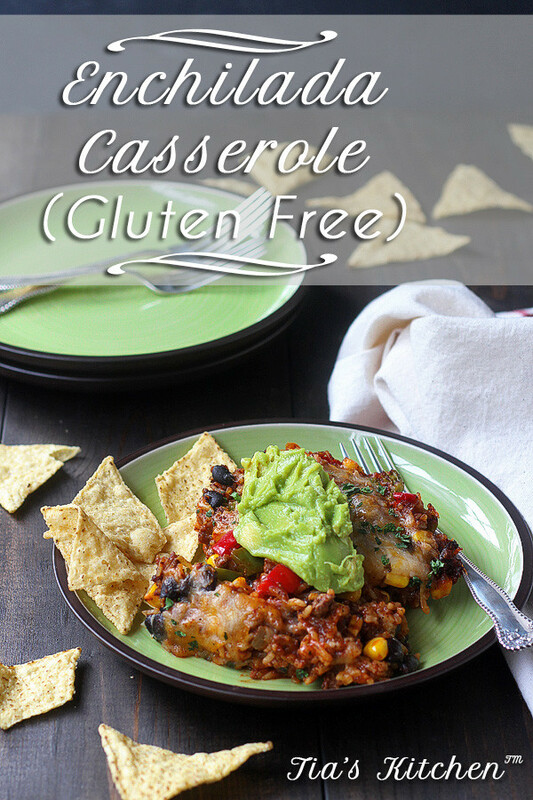 Just to let you know the inspiration for this enchilada casserole came from this post at Pinch of Yum called Healthy Mexican Casserole with Roasted Corn and Peppers. At first, I thought I saw rice in there, and I thought, well that’s brilliant. I’m gonna have to make that. I got my heart all set on rice with enchilada sauce. Then I looked down at the recipe. And while it looked totally good with the ingredients Lindsay puts in, it just wasn’t what I had in my mind when I was looking at the pictures. I was disappointed for a second before I realized… Duh! 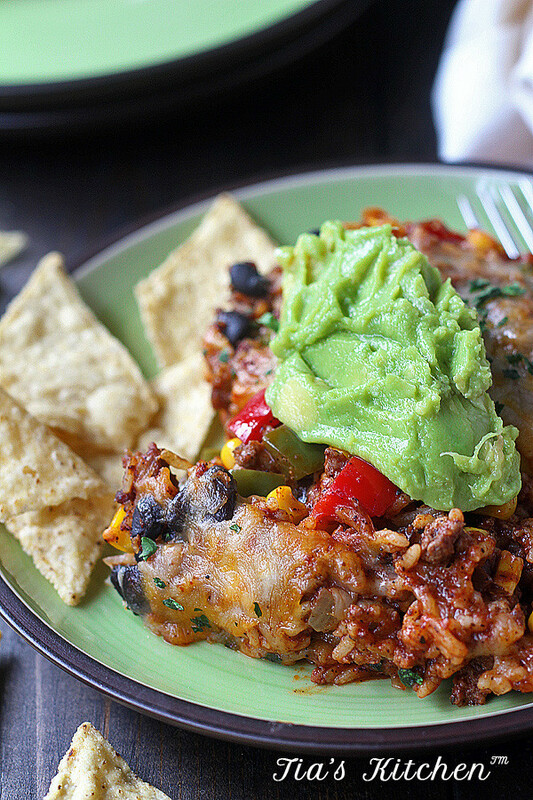 Make my OWN Enchilada Casserole. With rice. Oh, and of course I used my own gluten-free enchilada sauce recipe for the enchilada sauce in this amazing enchilada casserole. 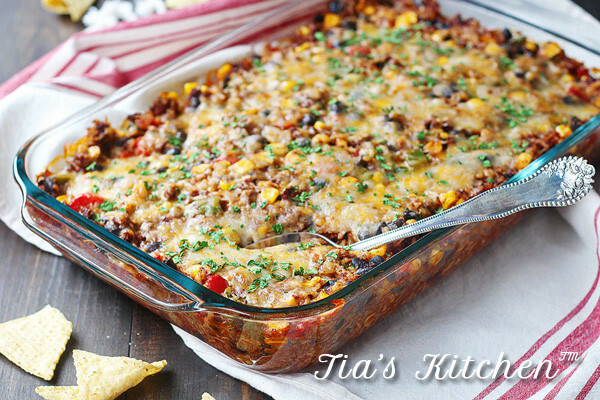 Another thing I like about this enchilada casserole is how easy it is. 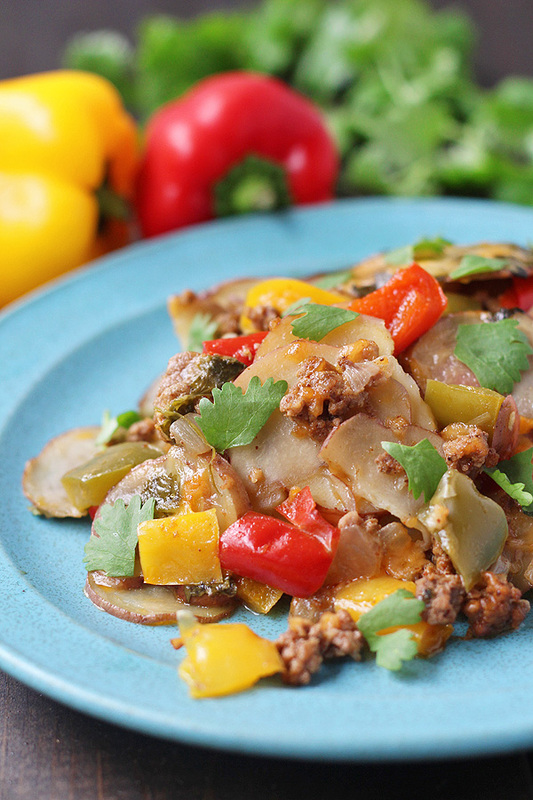 One of those throw-a bunch-of-stuff-in-a-pan recipes. They are so great. So, if you are into the ease of making dinner that casseroles provide. And you like enchiladas. 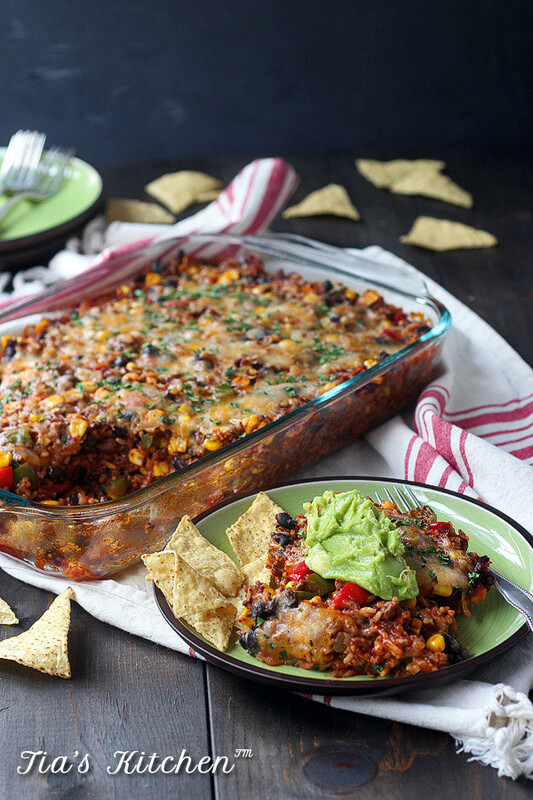 You should definitely make this enchilada casserole. 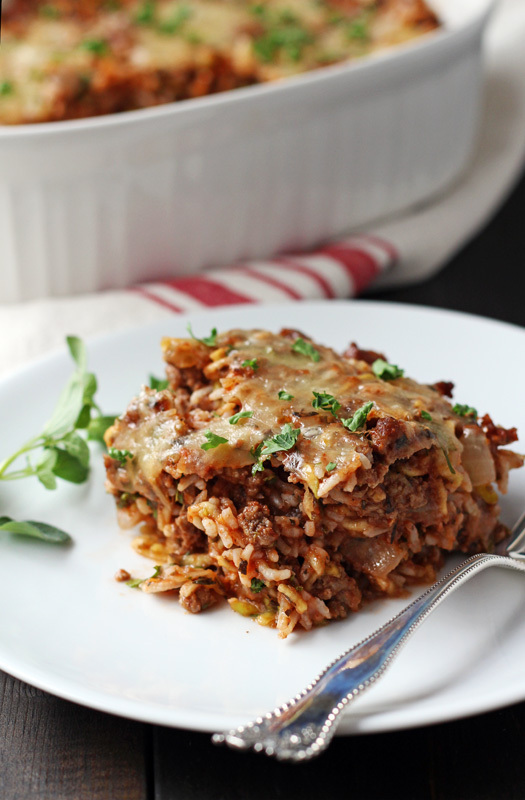 **Dairy Free Option – The only thing dairy in this recipe is the cheese layered in. So if you substitute your favorite dairy free cheese, it will work great. In a medium saute pan, saute onion in oil over medium heat until translucent. Add ground beef, chili powder, cumin and garlic. Cook until beef is browned. Drain beef and transfer to a large mixing bowl. Let just enough fat to coat the pan to saute the peppers. Saute peppers in pan until soft. Add to the bowl. Add corn, black beans, rice and enchilada sauce to the ground beef bowl. Mix. In a 9 x 13 casserole pan, layer half of the ground beef mixture. Layer 1 cup of cheese. Layer rest of the beef mixture and the rest of the cheese. Bake for 30 minutes until heated through and the cheese is melted. 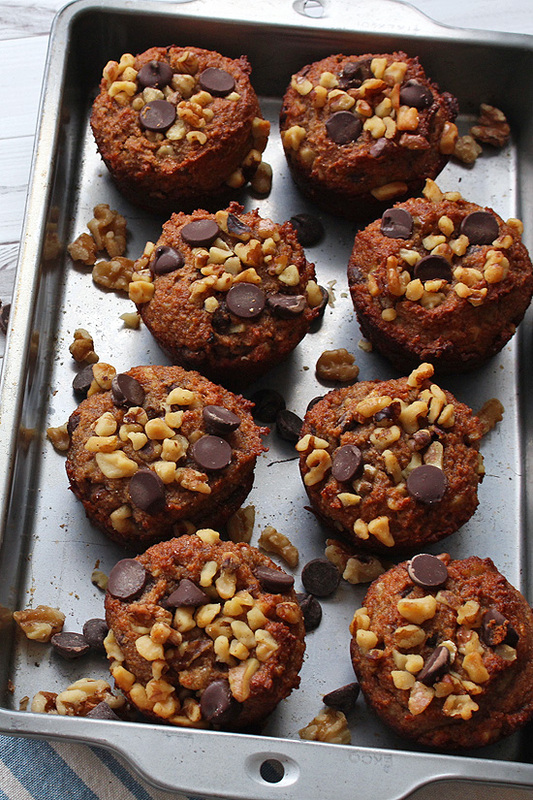 Hi, We’re neighbors on the Gluten Free Wednesday link up! Your casserole looks delicious! Thanks for sharing. Thanks for coming on over to say hi. And thanks for the compliment. 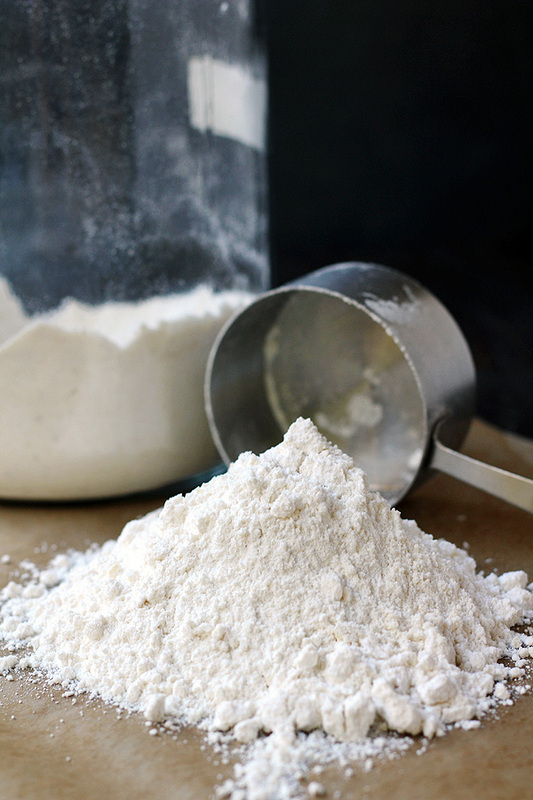 I think I will be making that cauliflower flat bread of yours. I need to see if it will work with flax or chia eggs, though. Looks good. Yum! I love Mexican casseroles. This one looks delicious! Thanks, Elise! Always glad to share. This looks super yummy! Thanks for sharing! Your recipes are always so good! Made this tonight, so yummy! Thank you for another good recipe!